Matt Ward was playing FIFA at his flat in Taiwan when it suddenly dawned on him that his ambition to forge a career in football had stalled. As he controlled the virtual players on his television screen, the British-born coach made a promise to himself. The very next day he would begin pursuing the dream once more. Ward was true to his word. In between his duties as a PE teacher, he made enquiries at clubs in Taiwan and eventually landed a joint head coach role at Royal Blues FC. It was the start of a journey that has led him from the PlayStation to the heart of the game’s booming growth in China, via a six-month stint in the Philippines. After leading the Royal Blues to promotion as second division champions, Ward assisted fellow Brit Gary White in the former Guam manager’s preparations for the 2014 East Asia Cup. It was White, who was recently interviewed for the England Under-21 vacancy, who then took Ward to Shanghai Shenxin along with another English coach, Louis Lancaster. The trio joined the club when they were struggling at the bottom of the Chinese second tier but together they guided the team to safety, claiming some impressive scalps along the way. Speaking from his home in Taiwan, Ward fondly recalls coming up against some of the famous names to join the influx of foreign stars into China. Although Shenxin had a relatively small budget compared to their rivals, they faced a number of familiar opponents such as the league’s top scorer Luis Fabiano, once of Sevilla and the Brazil national team, as well as managers Fabio Cannavaro, Clarence Seedorf and Ciro Ferrera. “We had quite a good record against the bigger names,” says Ward. “Ciro Ferrara, the former Italian international and Juventus boss, was there with his staff who worked under Fabio Capello with England. You’ve got to quickly realise that you’re on the same playing field as them and you’re about to play them. That night we beat them 3-1. Although Shenxin held their own against distinguished opposition, at times the gap in quality was telling. The vast spending by Chinese clubs to fill the foreign player quota in the squad – reduced from four places to three before the new season begins in March – has led to a disparity in ability between clubs and within individual teams. In general, the more money a club can invest on big-name signings from abroad, the better they will perform in the league, with the focus on developing local talent often overlooked. In the last few weeks, this has prompted the government to intervene as reported fees and salaries threaten to spiral out of control. The vision of President Xi Jinping and the Chinese Football Association is to establish the country as a world football superpower by 2050. But with China currently listed 81st in the FIFA rankings, losing in a friendly to Syria last year, the domestic overhaul has struggled to get off the ground. “Something like 68% of all the goals scored in the top two leagues were scored by foreigners, because all the attacking players are foreign signings,” says Ward. “The Chinese players are very professional. They put all their effort into training, they’re careful with their lifestyle and diet, and they’ll want to know about tactics. They are better players than most will give them credit for, but there can be a gulf between them and the better foreign imports. Apart from goalkeepers, who benefit from a rule that prevents clubs signing foreign shot-stoppers, the Chinese squad members can be forgotten in the rush to hype up new arrivals. For many of the local players it is a different world to the one that Carlos Tevez, who received a warm welcome at Shanghai airport last week, now inhabits. Despite this success at Shenxin, the explosion in transfer market spending has somewhat contradicted the objectives of the Chinese Football Association, creating an uneasy foundation on which to cultivate the game in China. Not only has the development of local talent taken a backseat to the growing relevance of the Super League, there are questions over the commitment of the foreign players whose heads are turned primarily by the money. To try and tackle the issue of sustainable growth, the government has now pledged to double its grassroots funding. “For me personally, I think a country that’s throwing around that kind of money, it’s going to be difficult to always get staff and players who are thoroughly committed to the cause,” says Ward. “I fear China is going to fall down throwing this money around, looking for a quick fix as opposed to building from the bottom. 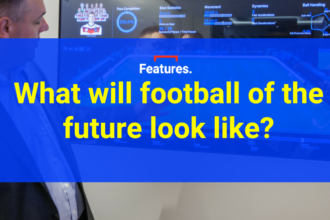 It could be similar to the Premier League – all crash bang wallop, money flying around – but are they really focusing on the best interests of the country’s game as a whole? 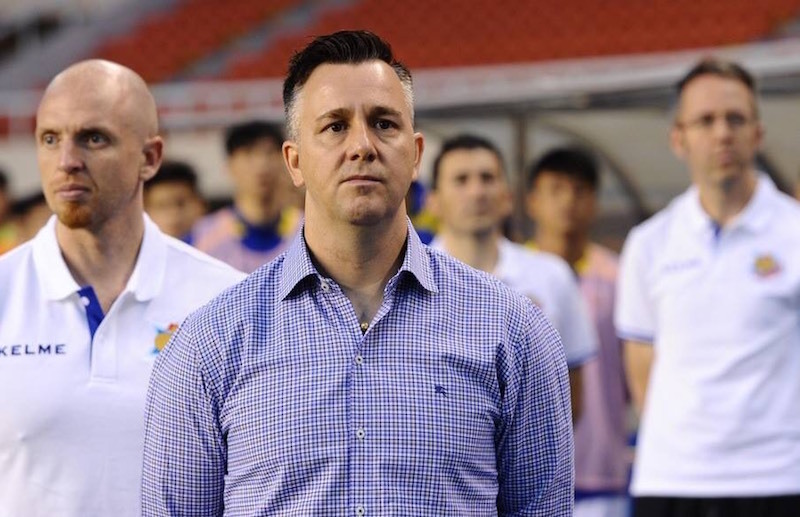 Despite leaving Shenxin in November, Ward’s experience in China has only strengthened his desire to work in a high-level coaching role as he considers plotting a route into management. There were many challenges to overcome at Shenxin, but at least there were no forklift trucks interfering with training. 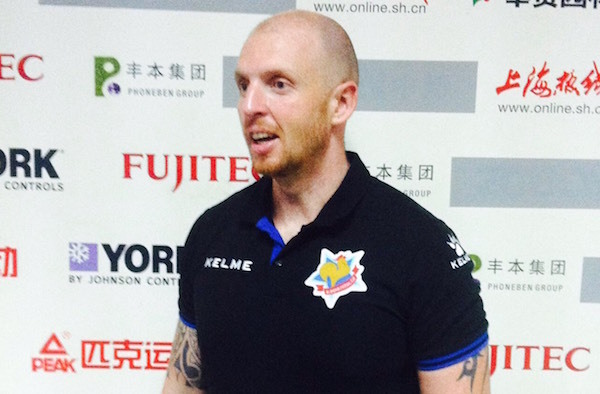 The British coaching team of Ward, White and Lancaster gained recognition for their hard work in turning Shenxin’s fortunes around, with Ward now considering his next move after being presented with a number of intriguing opportunities. In the future he would like to return to England, but for now he plans to continue forging a career in Asia.